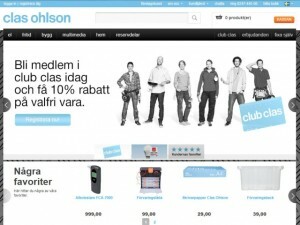 Clas Ohlson, the Swedish ‘modern hardware’ retailer, has launched its first loyalty scheme – the ‘Club Clas’ customer club – in its home market, with the UK expected to follow in 2014, I understand. The move is the latest stage in the retailer’s multichannel offensive, which has already seen significant investment in building a strong social media presence, alongside last summer’s launch of country-specific transactional websites and, in November, versions optimised for mobile use. Clas Ohlson’s store count still continues to grow too, with 172 stores across Sweden, Norway, Finland and the UK at the end of January – an increase of 20 on the same time last year. As I’ve noted previously, there haven’t been any new store openings in the UK since Newcastle in August 2011, but the latest trading figures released today continue to show UK sales rising, despite the lack of new space. Growing awareness of the Clas Ohlson brand is, it would seem, starting to have a positive impact on sales instore, which is to be welcomed. Membership of the scheme is free, and offers benefits in the form of customised club discounts, based on areas of interest and purchasing history, as well as a 3% bonus for all purchases, invitations to theme events, and access to tips and advice. The initiative also promises “membership prices for selected products”, in a move that sounds similar to the well established Ikea Family scheme from Clas Ohlson’s better-known Swedish compatriot. 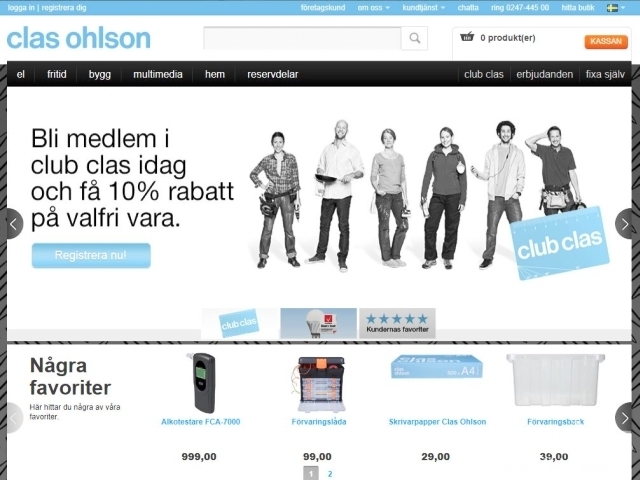 As with its transactional website, it’s little surprise that Clas Ohlson should opt to launch Club Clas in its native (and largest) market first, given that Sweden still accounts for 46% of company sales. However, though no UK launch has been confirmed, I’m told that it’s likely to happen next year. 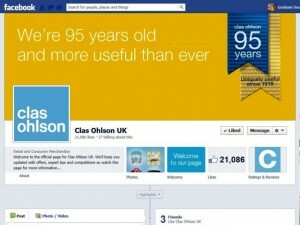 Given the enthusiasm that many UK customers appear to express for Clas Ohlson via its Facebook Page, launching an initiative that taps into and rewards that passion for the brand – while driving footfall to the shops – seems like a canny move. Interestingly, I understand that Club Clas will, as with most other retailers’ loyalty programmes, be country specific; in other words, a Clas Ohlson shopper from Sweden won’t be able to use their card in a UK store, or vice versa. I’m struggling, in fact, to think of any retailer that runs a multinational loyalty programme as opposed to similar, but independent, schemes in different countries, presumably due to the challenges in creating a programme that can work seamlessly across different currencies or languages. However, as both consumer purchasing (thanks to the Internet) and retailers’ operations become increasingly multinational as well as multichannel, perhaps it won’t be too long before we see a retailer launch a loyalty scheme that truly embraces this changing landscape. My retail consultancy business, CannyInsights.com, provides bespoke place- and sector-specific market intelligence, including coverage of new developments and trends in multichannel retail. 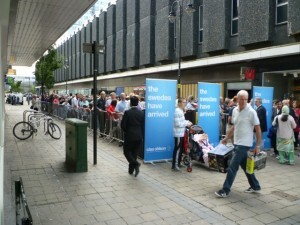 It also works with retailers nationwide to improve their stores, customer communications and online marketing. For more information, visit www.cannyinsights.com, drop me an email, or give me a call on (0191) 461 0361. Previous story I’ve now visited and tracked a quarter of the ex-Woolies estate – but what have they all become? Finnish Co-operative (S-Group) also operate in Russia and the Baltic states. If you have the Finnish loyalty card you earn bonus in the Baltic and Russian stores, restaurants and hotels. The only example of a multinational loyalty scheme I can think of is the Starbucks card – and only some aspects of that are multinational. It’s interesting that the payment aspect, which you might think would be the trickiest to implement given the different currency conversions, is one of the bits that does work.